Almost as stupid as the AP Royal Oak catalogue where they had fitted one of the bolts in bezel in the wrong direction. 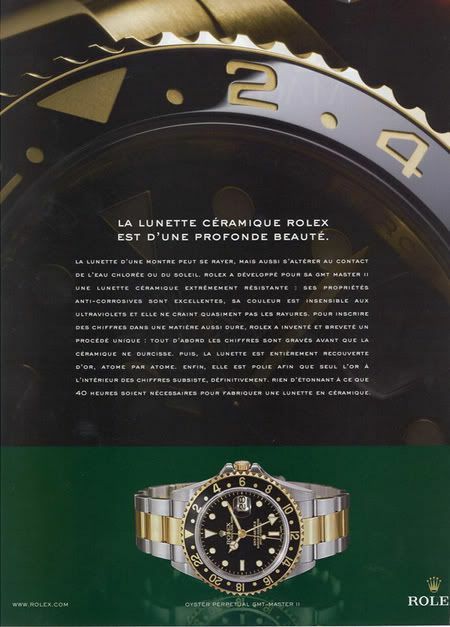 This Rolex advertisement below probably went-out unseen by the head of the office at Rolex PR & Communications. The horror, the shame.. as an avid Rolex admirer, I have to admit.. even Rolex makes such dumb mistakes. However, this is nothing compared to the mistake Omega made with their recent press photos. Check out this blog at Chuck Maddox’s site.